June 01, 2017, 3:21 p.m. 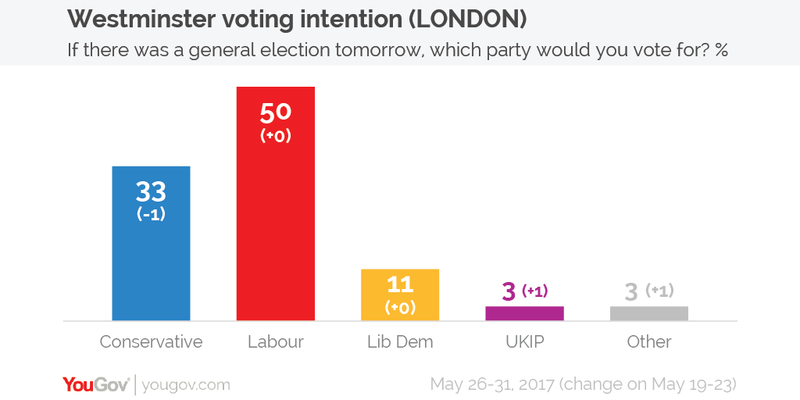 The latest YouGov/Evening Standard poll of London voters shows that Labour continue to lead in the capital by 50% to the Conservatives&apos; 33%. Elsewhere, the Liberal Democrats are on 11%, UKIP are on 3% and votes for other parties are on 3%.